A group of researchers from the University of North Carolina Lineberger Comprehensive Cancer Center have looked into how different mutations in a specific gene help drive glioblastoma (GBM). They showed that mutational status was not linked to a response to a single targeted drug, but it was to a combination of treatments. They used single agent and combination PI3K/MEK inhibitors buparlisib and selumetinib. Buparlisib has been proposed as a potential therapy for GBM and is currently in Phase II clinical trials in GBM patients. Their study (“PIK3CA missense mutations promote glioblastoma pathogenesis, but do not enhance targeted PI3K inhibition”) was published in PLOS One. 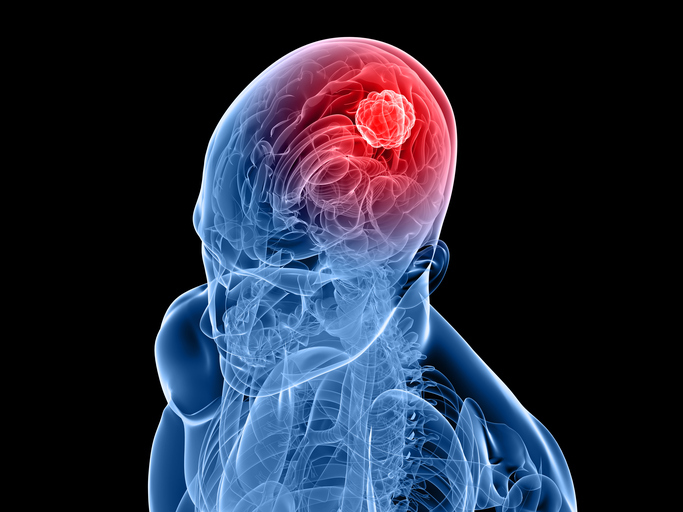 GBM is the most common primary malignant adult brain tumor and the most lethal. The average survival time is 12-15 months upon diagnosis and the five-year survival rate is less than 5 percent. The PI3K pathway is a therapeutic target in GBM with great potential because 46% of patients have mutations in three of the genes in this pathway making research into PI3K important for drug development. PIK3CA is altered in 10% of GBM, mostly via missense mutations (those that alter an amino acid) that are predicted to activate PI3K. In the current work, the location of these mutations in the sequence of the PIK3CA gene was analyzed with respect to its role in driving cancerous growth and in their ability to alter the response to a particular drug. Unlike some cancers, where mutations occur in a specific location, or “hotspot,” of a gene, mutations in PIK3CA can occur in multiple different parts of the gene in GBM. These mutations were investigated in their ability to alter the response to a particular drug. The authors write that “defining how these mutations influence gliomagenesis and response to kinase inhibitors may aid in the clinical development of novel targeted therapies in biomarker-stratified patients.” A much-needed advance in a field where clinical trial results have been disappointing for drugs targeting certain molecular pathways driven by mutations commonly found in the disease. The next goal for the researchers will be to evaluate drugs targeting the particular downstream effects of the different pathways. Dr. Miller says researchers hope future studies could help identify additional potential therapeutic targets in glioblastoma, while helping to guide clinical trials using existing drugs.